I put making books on pause BUT that did not stop the creativity juices from bubbling up. Y'all ever had something like that happen to you? How to let go and still do what you want/need to do. I'm always struck by how the traditions we hold dear carry us through, each and every season. Traditions long steeped in family, love and legacy. Take a peek into ours and don't forget to share some of your own you find dear. Living simply is about creating a life for yourself in as simple and uncomplicated way as possible while still enjoying your life. In this post I share 5 tips to help you do just that. 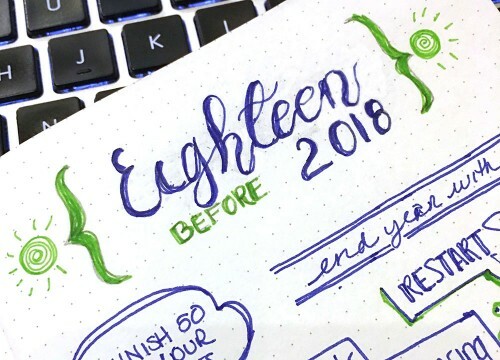 Today's post is an accounting of each item on my 18 before 2018 and where things stand for me. Maybe seeing how I faired will help you either keep going or jumpstart you to success. What's your you-ness about? What is there about you that makes you, well......YOU? Take a moment to think about the things about you that can't be separated from who you are, that so completely identifies you and leaves no doubt about their veracity. That's what I did. one of the things i didn't do for myself ( or knew it was even possible back then ) was to show me some self-love. it was a concept so foreign to me that I never really thought about it. a few years ago though ( june 2011 to be exact ), as I began to step into this new phase of mindfulness and awareness, I realized that this one thing, SELF-LOVE, was key to my existence as a whole human being and a self defined, powerhouse of a woman...yeh, I went there! and the huge impact it can have on my mind, my heart, my Soul and my spirit. there's a lot of talk out there in the ether about self-love but before you dismiss this one, hear me out. some call this practice self-care. I still prefer to use the words SELF-Love, because it is in this act of taking time for ourselves, for our very being that we are able to give so completely and freely to others. whether that action is a thought or a practice or even just a pause in the busyness, it's about bringing love inward and gracing ourselves with something we so easily can, and should, give to ourselves more regularly. and the good part is that for most of these practices there's no waiting around for the right time to do it. you just do it. I gotta tell you, there's something so sweet and purposefully grounding about allowing our self love to unfurl. You can’t pour from an empty cup. If you need help to deep dive into beginning or reestablishing your own SELF-Love practice, I've created an short email course "5 days of SELF-Love" that takes you through 5 lessons of SELF-Love plus how to make space for yourself in a kind and loving way. take care of yourself. begin now.